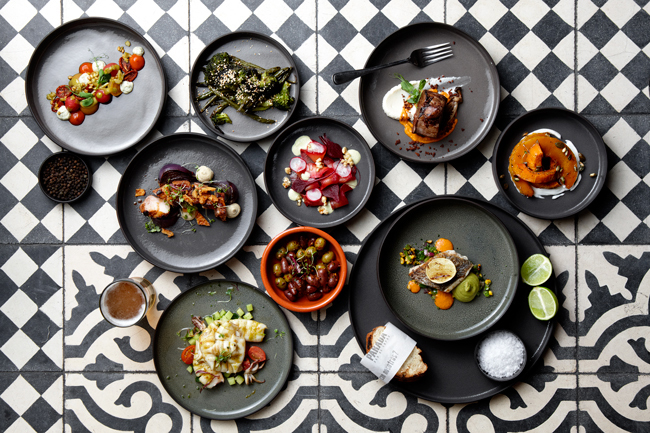 With the revamp of this local favourite and iconic space, Constantia Nek has developed a fervent following in Cape Town. 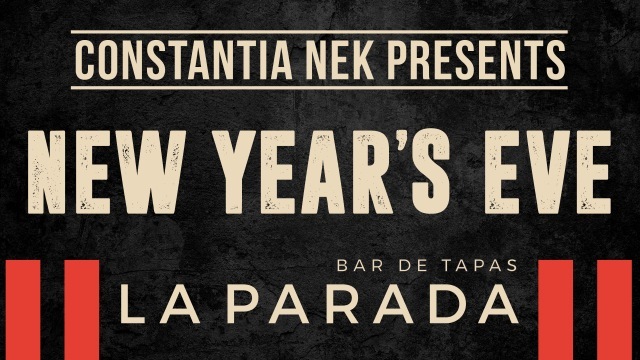 Not only have the Harbour House and La Parada restaurants garnered a very loyal group of patrons throughout the week, but Sundays at the Nek have become an institution for locals and tourists alike. With all of this in mind, and following last year’s New Year’s Eve that was a monumental success, it only made sense to end 2017 with a bigger and bolder bang than ever before. 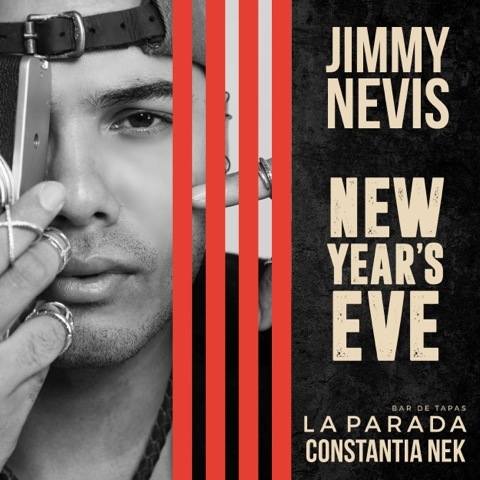 Lined up we have South African favourites Jimmy Nevis and Ard Matthews, who will be performing exclusively at the Nek on New Year’s Eve to make this a truly special night and certainly one to remember. Jimmy is a Cape Town born-and-raised pop star, and has received extensive commercial radio success in South Africa with several hit singles, including Heartboxing, Balloon and All About It. 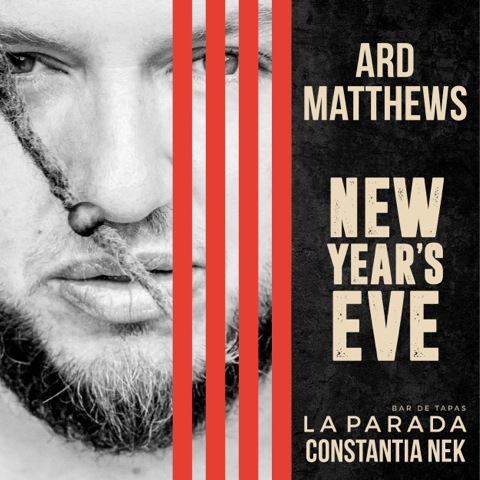 Ard Matthews, former Just Jinjer frontman and local icon has had incredible success on the South African music circuit and will be performing alongside his talented percussionist on the night. They will be supported by a local DJ to take you into the early hours of the morning. 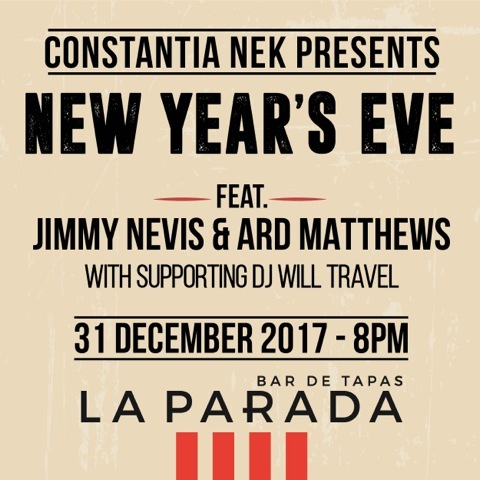 I have teamed up with my friends at La Parada Constantia Nek to give-away an epic prize for you and three friends that you want to spend your New Year’s Eve with! Stand the chance to WIN four tickets worth R1,800 for your crew and bring in 2018 in true style at one of the most popular hotspots in the Mother City. Follow the easy steps below to enter! Head over to the Facebook competition post [CLICK HERE] and follow the simple steps to enter! Would be awesome to ezperience this with my girlfriends since high school as we dont just like Jimmy Nevis….we LOVEEEE him!!!! !